This trademark provides a wonderful example of how a word trademark can be effectively incorporated into a logo. 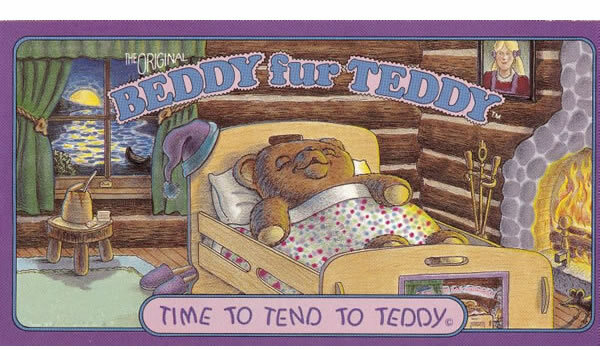 Our trademark attorneys secured a federal trademark registration for our Oregon City trademark law client’s word trademark BEDDY FUR TEDDY. The trademark is used on toy wooden cradles for children to use with teddy bears. You can see a design patent directed to the toy cradle that our patent attorneys secured in the design patent section of our Portfolio Page. In this example, our trademark attorneys secured a federal trademark registration for our Washington trademark law client’s Lexcaliber logo used in connection with fitness products. Our trademark attorneys diversified the client’s trademark protection by also securing federal trademark protection for the word mark LEXCALIBERS. With this trademark project, our trademark attorneys prepared a federal trademark application directed to a logo for use on renewable energy devices. Our Oregon trademark client needed to incorporate a brand name with distinctive design elements. The trademark application was approved by the Trademark Office in due course.